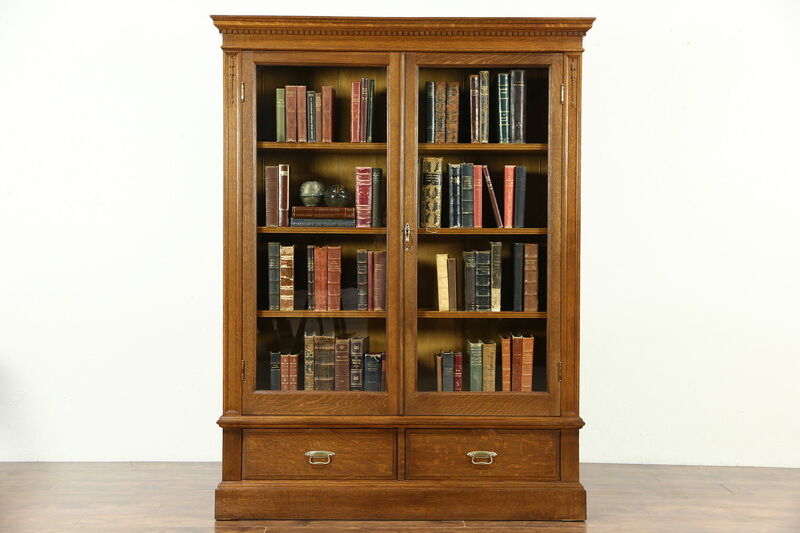 A solid quarter sawn oak bookcase from about 1900 has an excellent restored finish. Brass hardware is original and the door lock works. Drawers have dovetailed joints on this American made antique library or office furniture. Side panels are raised and shelves adjust on wooden supports. Under the crown is dentil molding and there are finely carved details. Size is 51" wide, 14" deep and 66 1/2" tall.